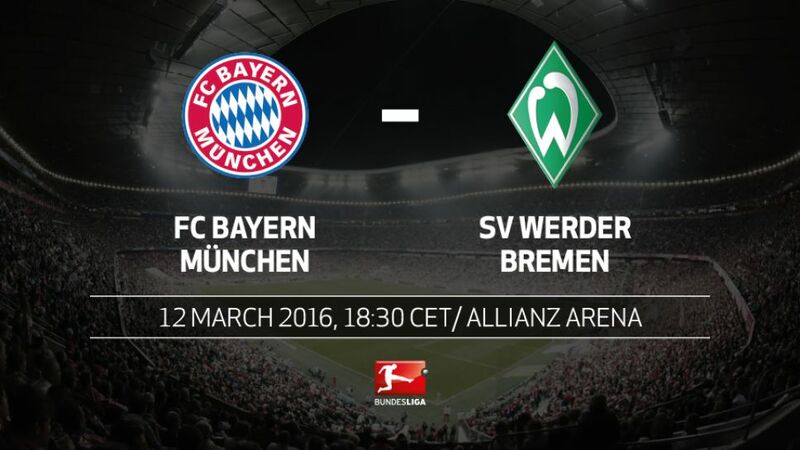 Without a victory in the last two games, champions FC Bayern München are eyeing a return to winning ways when rejuvenated SV Werder Bremen visit the Allianz Arena on Saturday evening (kick-off: 18:30CET/17:30GMT). Pep Guardiola's side suffered a first defeat of the season on home turf at the hands of 1. FSV Mainz 05 on Matchday 24, before being held to a stalemate in an enthralling Der Klassiker against Borussia Dortmund last weekend. That said, the Bavarian giants remain formidable opponents, particularly with two of the Bundesliga's three leading scorers in their ranks in Robert Lewandowski and Thomas Müller. Bremen have their own in-form frontman in Claudio Pizarro, who has a Bundesliga-high nine goals since the turn of the year. However, a muscle strain sustained late in the week means the German top-flight's top foreign goalscorer will have to watch from the sidelines and wait for the strike that will move him level with Bremen's all-time top-scorer Marco Bode.